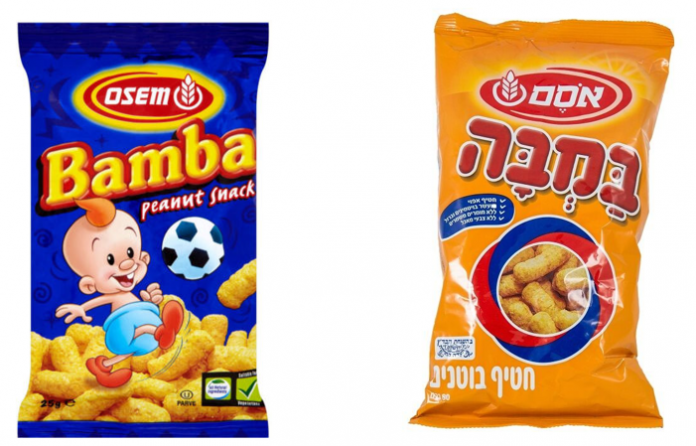 The popular Israeli snack Bamba could be widely distributed to U.S. food markets in the near future. Osem Group, which manufactures the peanut-butter-flavored treat, has been negotiating with Swiss-based Nestlé, the largest food and beverage company in the world. “[Osem] will see Bamba become a staple in the diet of U.S. kids. Osem itself is a wholly owned subsidiary of Nestlé. If the agreement is finalized, Bamba will be added to Nestle’s baby food division, which distributes such popular brands as Gerber and NAN,” reported the Israeli financial-news site Calcalist. An Osem spokesperson told Calcalist on Thursday that although the firm is working strenuously to sell Bamba in North America via its U.S. subsidiary, it is not in talks with Nestlé over Bamba’s distribution. Bamba, an Israeli childhood and nutritious staple, is credited for reducing Israel’s peanut-allergy rates since it first sold in the 1960s. The treat also comes in a strawberry flavor. Of course, many people cannot eat Bamba if they already suffer from existing peanut-based allergies.